Cyber Crime refers to unlawful practices done using a computer, which may be used as a medium or a target. The term encompasses various criminal acts like credit card frauds, illegal downloading, cyber terrorism, scams, spreading viruses etc. One of the most common cyber-crimes known in today’s times. Hacking is a term used to describe unlawful intrusion into someone’s computer or network to gain access to sensitive information through illegal means. Hacking is done by writing or using ready-made computer programs on target computers. Individuals who practice hacking are called Hackers. The crime is done mostly to steal information, disrupt / manipulate data, illegal transferring of money from target accounts to personal accounts etc. Money is mostly the primary motive behind hacking activities. 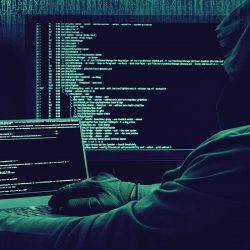 In the cyber world, hacking is one of the easiest means to infect one or more computers with virus, which eventually results in destruction of sensitive data in the target computer or the network. A virus generally alters or deletes the data on a computer, thereby destroying information of crucial importance. There are countless web portals which encourage online gambling, with servers placed overseas. Most of these portals use online gambling as cover for money laundering and hawala transactions. The term refers to targeted attacks on military positions and locations of strategic importance. These include banks, power plants, telecommunication systems, police quarters etc. Cyber terrorism comes across as a safer and cost effective medium for terrorists as it is easily accessible, maintains anonymity, can be used remotely and is effective on a large no. of individuals. Regular hardware like computers, scanners, printers, removable storage etc. are very convenient medium for defaulters who use them for forging mark sheets, counterfeit currency notes, revenue stamps etc. The term-refers to sending large volumes of mails to the target mail account, thus resulting in crashing of the computer system and disruption of work and information. The list of cyber-crimes is exhaustive as new forms of crimes are emerging every year. Cyber-crime provides strong advantage of anonymity to defaulters, thus enabling them to operate in a secure environment. Considering the rise in cyber-crimes, it becomes moral responsibility of all individuals, business houses, government offices etc. to take adequate preventive measures in providing access and disclosing information to anyone. Increase in cyber-crimes has also encouraged cyber policing through forensic services, ethical hacking to take control over the unlawful activities being carried out in this domain. Looking for a leading investigation agency in India? Contact Us.